Louisa May Alcott, who is the author of Little Women and Little Men, based much of her writing on her own life. In fact, Jo, the heroine in Little Women, was modeled on Alcott. Alcott was born in 1932. Her father, Amos Bronson Alcott, was a noted educator and transcendentalist who worked infrequently, leaving the family impoverished. Her mother, Abigail May Alcott, was a model for the mother, Marmee, in Little Women; Abigail was descended from a witch-burning judge and, ironically, a noted abolitionist. 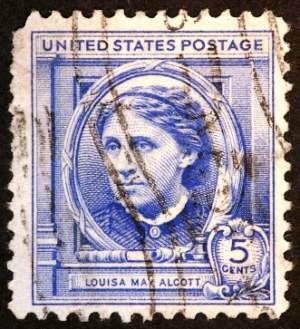 Louisa May Alcott is considered a notable female author of the late 19th century. Although the Alcott family was very poor, Louisa May Alcott's life, by all reports, was happy. Her father educated her, and she was influenced by transcendentalist thought and the latest educational philosophy. Her influences were Ralph Waldo Emerson and Henry David Thoreau. Margaret Fuller, James Russell Lowell, and Julia Ward were among the family's intellectual neighbors and friends. Women's issues and educational reform were social issues that were major threads in both Little Women and Little Men. Alcott family life was rich with intellectual stimulation and Alcott began writing early on a shelf desk that her father built for her. He founded several schools, but none were successful. These failures forced Alcott, her mother and her sisters to support the family through domestic work and teaching. At the age of sixteen, Alcott began to write using several pseudonyms. Her first poem was published under the name of Flora Fairfield. During subsequent years she published a number of sensational serialized novels, many now published as Behind the Mask: Thrillers of Louisa May Alcott. She originally published these thrillers under the name of A. M. Barnard, finding it easier publish her work under an ambiguous or male name. Her serialized works were popular with readers and brought in a steady stream of income with which she helped support her family. As a young woman, Alcott served as a nurse during the Civil War. Her normally good health was jeopardized by a bout with typhoid, from which she nearly died. The medications she took caused mercury poisoning, further damaging her previously robust health. She never fully recovered her health, but was able to continue her career as a writer. Alcott's works was sometimes disregarded and denigrated as juvenile fiction. Author Henry James described her as "novelist of children ... the Thackeray, the Trollope, of the nursery and the schoolroom ...." Other critics decried the blatant moralizing in her stories and ignored the fact that moralization was a common feature of Victorian literature. More recently, interest in Alcott's work has been renewed, especially as a result of critic Madeleine Stern, who has reprinted a number of her stories. A number of her Christmas-theme stories are available in a collection called Louisa May Alcott's Christmas Treasury. Alcott's works, although sentimental, provide an entertaining read and provide a realistic picture of life in a poor family during the Civil War period in New England. Alcott's book are particularly popular books for girls.